In the simpler times, gender was just about Male, Female, and in case you were not sure where you fit between these 2 options - there was ‘Others’ or ‘Prefer not to disclose” option. 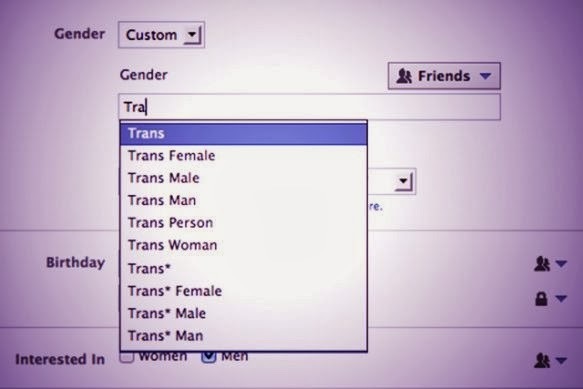 The list of 56 gender options that Facebook has given means a lot to both, the individual and to the marketers. For some, this profiling options by Facebook means a lot. For them it is more about assertion of their self-identity. Till now, most of them have been living with their personality preference hidden in their closets. With social acceptance and legal recognition increasing, they are more willing to come out in the open and feel comfortable and true to themselves. It also allows them to connect with like minded people and form communities and support groups, as still ‘they’ are not considered like ‘us’, and would need peer support & like minded people to protect (for want of another word) them. For marketers, target audience segmentation (based on demography) all along, has been about Male/Female. Consider this fact, almost all available products are produced for either male, female, or both audience. I mean, you can market a soap brand, for a male audience or a female audience... or if you include age criteria - maybe for kids; but imagine trying to advertise a soap for LGBT community. Telling them using xyz soap will make them feel good LGBT. Feels queer (no pun). Right?. The opening up of gender options, drives 2 factors that will influence marketing a lot. 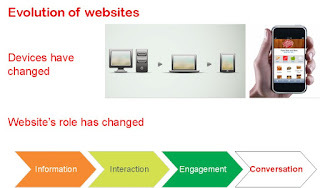 First is in terms of product positioning and second in terms of product customization. As more and more competing products become similar in terms of their attributes.. it becomes increasing hard for a brand to find a space to fit into. Knowing more about the audience personality & hence their preferences, it becomes easier for a brand to identify opportunities to increase share of mind. Secondly, as individualization and customization keeps increasing, catering to niche audience within a market segment becomes crucial for a brand to succeed. Thus, this opportunity of fine tuning the gender preferences by Facebook will allow marketers to have specific communication through ad targetting, and increased opportunity for gathering market intelligence and creating niche product variants. Another important question is what does it mean for Facebook itself? Facebook - the company, will be perceived as an user friendly company that understands and relate to its audience. For Facebook - the business, it is an additional opportunity for them to increase advertising options and thus their revenue. What do you think a company like Google will do to their ad network / adwords, to increase their profiling option?